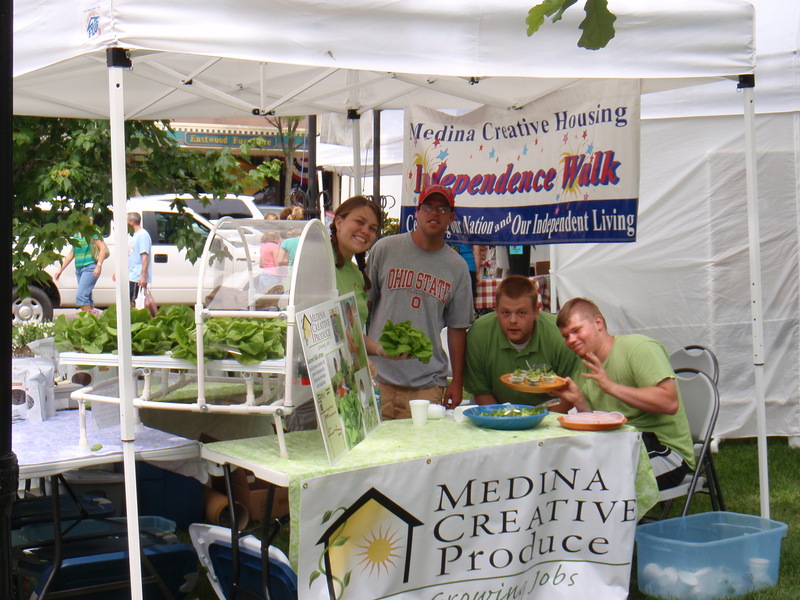 Medina Creative Produce provides vocational training for students from Medina County School Districts and adults with physical and developmental disabilities, many whom are residents of Medina Creative Housing. Workers develop skills such as cultivating, harvesting and marketing locally grown, nutrient rich Butter Bibb and Romaine lettuce. 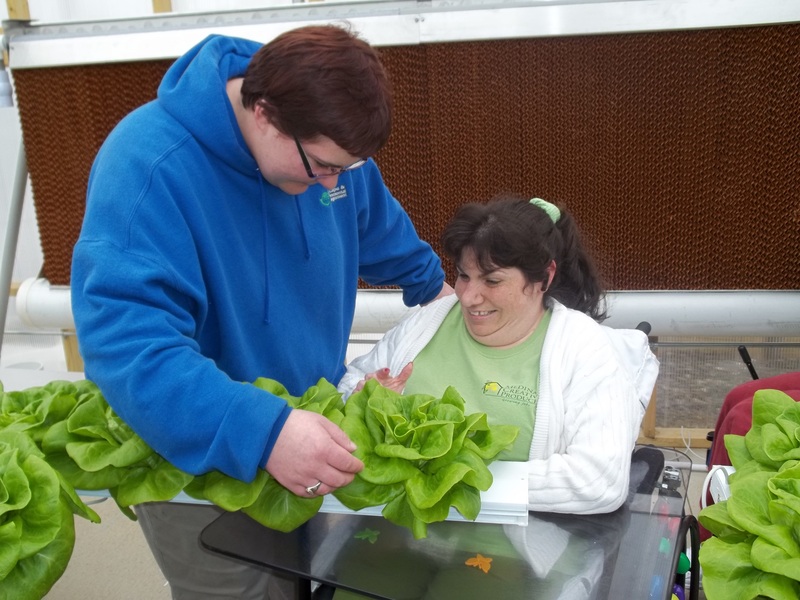 Our hydroponic greenhouse is fully handicapped accessible to accommodate the broad spectrum of individuals with disabilities that we serve. The greenhouse is built adjacent to Medina Creative Living. In 2011, a Ribbon Cutting Ceremony was held celebrating the opening of our hydroponic greenhouse, which supplies local restaurants, schools and area businesses with gourmet lettuce. A weekly harvest produces approximately six hundred heads of lettuce and proceeds pay the workers’ wages. Medina Creative Produce Butter Bibb lettuce is great for an everyday salad, sandwich, or for making delicious recipes found HERE. Our MCP employees are busy experimenting with new crops in our hydroponic greenhouse. They have had a lot of success in growing fodder for our therapy horses. This is a type of barley grass that is grown hydroponically and is very nutritious and beneficial for horses. They are also experimenting with growing broccoli, green beans, green onions, cucumbers and carrots. The addition of these new crops will allow us to provide more types of fresh vegetables to area restaurants, grocery stores and schools. It will also offer more work experiences to our employees as they learn how to plant, tend and harvest a variety of crops. 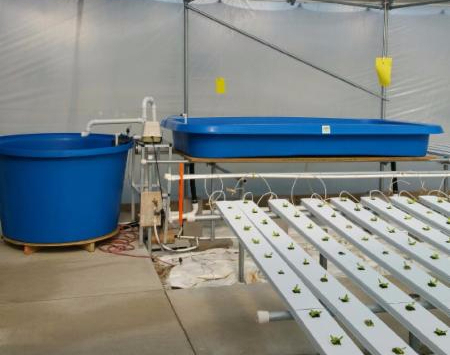 Medina Creative Produce is venturing into aquaponics. What is aquaponics? Aquaponics is a food production system that combines both aquaculture (fish) and hydroponics (plants). We are raising Perch which will contribute to the growth of our plants, and supply fresh fish selections to our customers. MCP is also growing microgreens. The microgreens can be used as both visual and flavorful additions to salads and other types of entrees. You can also purchase our lettuce online by clicking on the “Buy Our Products” menu on our website! A special THANK YOU to Twiisted, Corkscrew, and Kelly’s Cafe for serving our lettuce in their salads. If you know of a business or restaurant who would be interested in purchasing our lettuce, please call 330.591.4434 with a contact name and phone number. We will have our Sales and Marketing Representative stop by with a sample and to discuss pricing and delivery schedules. To view our Medina Creative Produce brochure, click HERE.